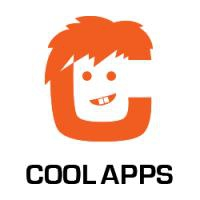 Cool Apps is a software company focused on developing great Mobile and Web applications. Our forte is crafting user-friendly and great looking software which makes a difference. Cool Apps’ mission is to bring value to people\'s life and at the same time joy by making applications which are helpful, cool and intuitive. Lead by excellent engineers, we are trying to make the very latest technologies an ally in our mission. Not believing in compromises, our goal is to only release software that we can be proud of. With so many great choices out there, you would inevitably ask yourself – “Why should I choose this company or their products? What makes them different? What makes them better?” It’s a difficult question and it is hard to be impartial when you have to present yourself. On our website you can find more information about the company including case studies, our core team members and some interesting articles, which form our way of working and thinking.